Mintex Brake Discs are manufactured to the quality standards associated with the Mintex pedigree. 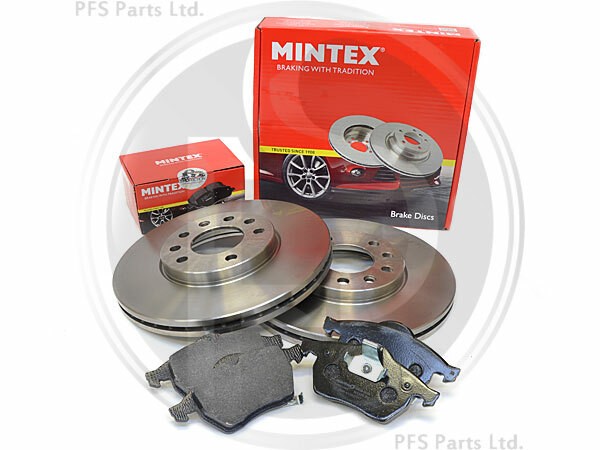 Mintex is one of the world leaders in both range and quality when it comes to brake pad friction. The brake pads themselves have the added guarantee of being either E-Mark or KBA approved. This performance guarantee is in addition to the No Quibble replacement before 15,000 miles/24,000 km or 1 year on every Mintex red box. This kit includes a pair of front discs and a full set of front pads, enough to replace the discs and pads for the front axle!